Zoe, a new world heiress, is a girl ahead of her time. She is not what you would call a proper girl. Her skirts are short, she can fly a plane and is willing to take on the world with her head held high. Zoe is a girl who can turn a world of black and white into color with just her presence. Zoe has loose lips, is sassy and has a hard head. She knows what she wants, she’s gonna go after it and the girl is going to get it. Having fun while she does it. She’s a modern girl, and a modern world, during the 1920s. Duty, honor and tradition are etched into who Nigel, the Duke of Langford is. Serving his country and crown by fighting in war, Nigel was left with both mentally and physically scars that go as deep as his soul. A man who wants thing to be as they have been, gets shaken to his core when a lively American throws the modern world into his life. Overwhelmed with emotions, the past, and what the future could be. Sometimes a Duke has to do things that you would a Duke doesn’t normally do. A fun and feisty Romance set in the 1920s. Combining an old world England with the jazzy times of America. Zoe and Nigel could not be more different, the banter of the two will make you smile and want to smack them both. A good story with a very Downton Abby feel with a lot more pizzazz and jazz. 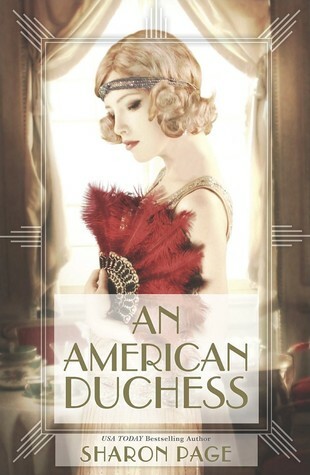 Posted on October 10, 2014, in Historical, reviews and tagged 1920's, An American Duchess, ARC, historical, Jazz, netgalley, Rock Stars of Romance, romance, Sharron Page, Speakeasy. Bookmark the permalink. Leave a comment.